Are you considering changing your old single windows or double glazing to help keep warm and reduce bills at the same time? With Quotatis you can assess up to four firms for the best offer Stoke-on-trent. Upvc double glazing is amongst the most popular insulation techniques householders can take advantage of. The simple structure is two panes of glass divided by an efficient gas spacer. This spacer, normally Argon, Xenon or Krypton, is motionless so heat can't move through and escape the property. So, heat is instead kept in your house, keeping you warmer through the year. In the same manner, during the hotter summer time months heat is kept out of the home, making sure you're cooler. Therefore, you're in a position to lower heating bills by up to £200 every year. The environmental advantages are also rewarding. Since there is little need to turn up the boiler temperature, fewer carbon dioxide emissions are produced and emitted into the environment. To start benefitting from efficient home windows and reduce your heating bills every year, complete our online form and compare and contrast prices from approximately 4 reliable double glazing firms. Technically known as Stoke-on-Trent, the city contains a populace of virtually 240,000 and is based in the county of Staffordshire towards the east of England. Stoke is well known for its industrial links and pottery, steel and coal have all been main products in the region. Trying to keep houses up-to-date is crucial in Stoke so begin using our vetted contractors to undertake the job. There is no obligation with our free service. Double glazing is a brilliant purchase in order to reduce bills and keep your property warmer throughout the year. New windows are rated from G, the very least efficient, to A, the most efficient. The more efficient your home windows the more you'll save. Get the very best replacement windows companies in Stoke-on-trent by using Quotatis to compare quotations. You can be certain of having a reliable and trustworthy company to finish the work. Project: Double glazing mainly at front of bungalow plain glass. We noted 13,671 requests for property double glazing quotations in Stoke-on-trent. Of these quotation requests the number of double glazing quotes in Stoke-on-trent was 135. Quotatis would have been able to match these customers with up to four suitable installers who were available for work in Stoke-on-trent at that time. Request a free home survey from reputable companies in Stoke-on-trent. Below you can view the UK's total population based upon regions of the country. The complete population of the United Kingdom is over 62 million, with London and the South East having quite a significant proportion of this. On the other hand, Northern Ireland and the North East of England possess the fewest occupants in the entire the UK. The chart just below reveals the overall number of photovoltaic installations in Stoke-on-trent. Solar energy panels have increased in popularity mainly due to the Government's rewarding feed-in tariff incentive, which pays out for every single unit of green electricity produced. Join these homeowners and start generating your own electricity today. The data underneath reveals the average house price in Stoke-on-trent. For the most part, home prices have increased in value a great deal over the past decade. However, lately prices seem to have stagnated and it's essential to improve your home to add value. The data underneath illustrates the house market for the last 7 years and exactly how many homes have sold in Stoke-on-trent. Due to the large costs related with moving home, many people are now opting to stay put rather than relocate. 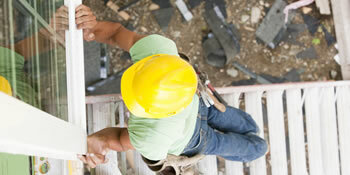 Home enhancements are becoming much more popular as people look to improve their home. Have a home improvement task and need a recommended installer? Quotatis will help you find the best professional in Stoke-on-trent and nationally, so you get the best possible price. Just search for your project and request up to 4 quotes.